Sleaford Little Theatre has announced its planned £62,000 foyer refurbishment at the Playhouse theatre will go ahead, despite setbacks, starting on February 11, thanks to generous patrons. The news comes following generous offers of interest free loans from patrons and members after a bid to the Arts Council turned out to be unsuccessful. The long awaited project has taken 24 months in the planning and will see changes to improve the toilet facilities and bar area. Moving the bar will increase the flow and ease of movement through the foyer into the auditorium. Publicity manager Tom Creasey said the new foyer, while retaining the Georgian character, will enrich the theatre experience and provide a comfortable and warm space to relax before and during performances. Sleaford Little Theatre Trustees held their meeting on January 21 to discuss how to progress the project, following feedback from the Arts Council and its decision not to support their application for funding, which had been seen as critical to the project. The Arts Council had stated the scheme had not met certain aspects of its strict criteria, so the Trustees proposed to seek support from the theatre’s patrons and members. 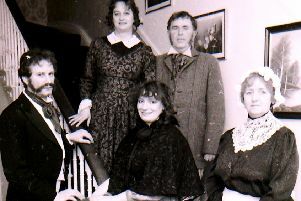 Sleaford Little Theatre has historically sourced funding in this way. Another suggestion was to seek a bank loan, but due to the generosity of patrons and members this has been deemed unnecessary. Mr Creasey explains: “The funding will enable us to start work, but we are still seeking extra support for some fixtures and fittings, including two chiller cabinets and a hot drinks machine. The Sleaford Playhouse Theatre is an original Georgian theatre built in 1825. 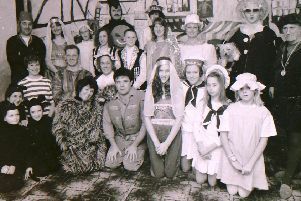 After being bought and restored by Sleaford Little Theatre it has been staging music events and plays since 2000. Any individuals or businesses interested in supporting the fulfilment of the final stages of the project can contact the theatre via email at hello@sleafordlittletheatre.co.uk. All enquiries will be forwarded to Christine Malkin, the project co-ordinator for the refurbishment project. On completion of the refurbishment, Sleaford Little Theatre will be holding an open evening for all who are interested in the project, helping to raise the profile of the Playhouse, and it will showcase the work of the architect, local tradespeople, sponsors and generate new members for the society.